Though Strathfield is best known for its railway, other forms of transport are important in the development of the district. Some of Sydney’s major roads and transport links run through Strathfield including Parramatta Road, Liverpool Road (Hume Highway), the M4 Motorway and Centennary Drive/Homebush Bay Drive/Roberts Road. 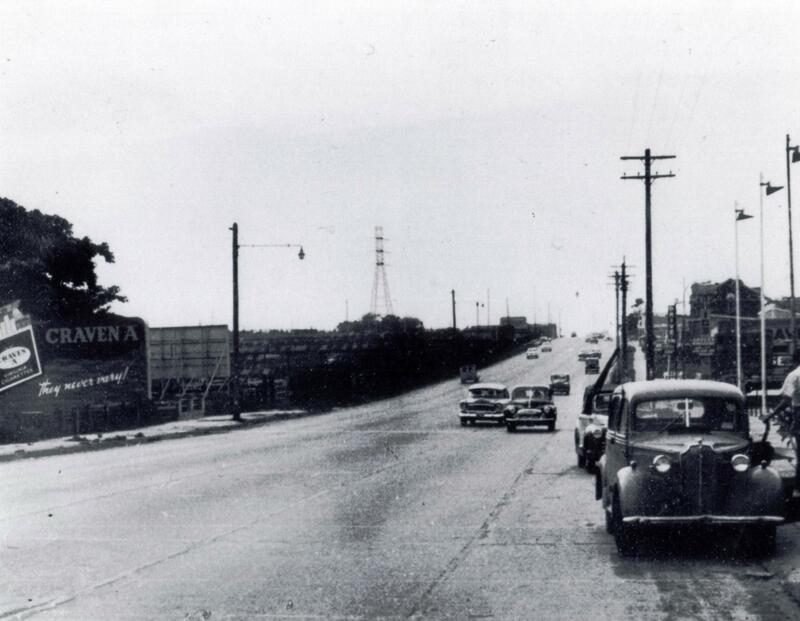 The first road was Parramatta Road, which was important in the development of Homebush. This road commenced building in 1790. In 1810, toll bars and milestones were erected along the road. One of the early milestones is located on the corner of Parramatta Road and Bridge Road at Homebush. Liverpool Road opened in 1814 as Governor Macquarie’s Great South Road. Its winding route especially in the Inner West reflects pre-existing land grant boundaries, however in Strathfield, Liverpool Road cuts through the Wilshire land grant of 1808 and is situated on the highest ridge. Land on both sides of Liverpool Road at Strathfield South have steep inclines and water from this area flows into the Cooks River catchment. The bridge crossing the Cooks River at Strathfield South is called ‘Moore’s Bridge’. Many local roads came into existance though the subdivision of large estates. For instance, the subdivision of the Redmire Estate in 1867 created Homebush Road, Dean Street, Water Street and Redmyre Road. Roads such as Abbotsford Road, Broughton Road and Burlington Road were created by the ‘Village of Homebus’ subdivision in 1878 (itself a subdivision of the larger Underwood Estate). Prior to the laying of roads, most transport was via rough tracks. The M4 Motorway starts at Strathfield near Parramatta Road. This road was first constructed as the F4 Western Freeway in the early 1980s. 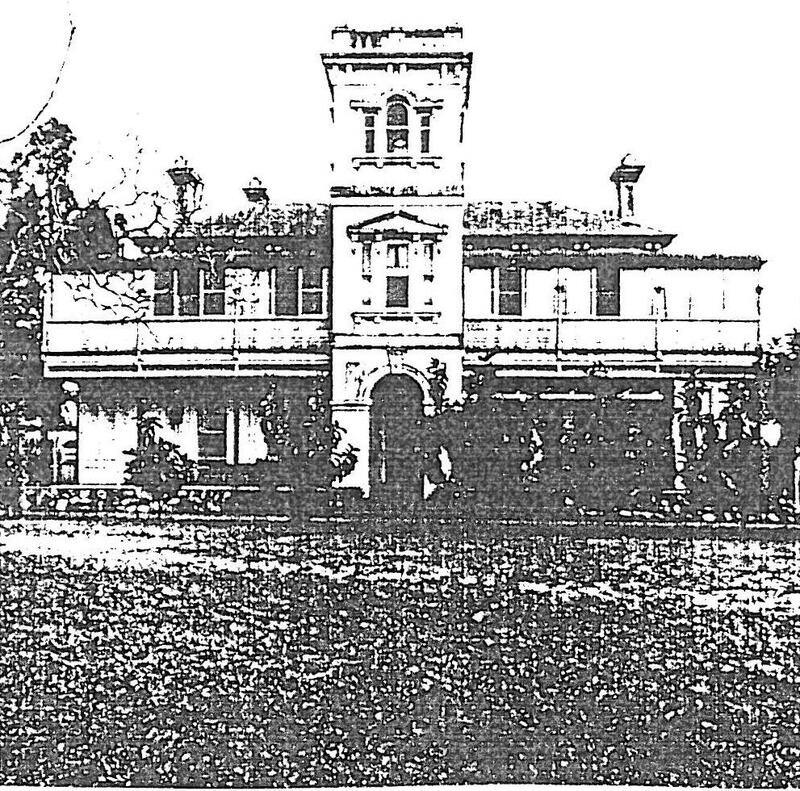 A number of homes in Homebush were acquired and demolished to make way for the road to be built. One of houses demolished was ‘Pomeroy House’, the former home of John Pomeroy, manager of David Jones. Some roads in Homebush were realigned, due to the freeway, such as Park Road and Wentworth Road. The name of the road was changed to the M4, when the road was extended west and toll charges imposed. The tolls were removed in 2010. ‘Pomeroy House’ Homebush. Demolished late 1970s for M4 motorway. Centennary Drive was opened in 1985 in the centennary year of Strathfield Council. This road is a signficant connection road for north-south traffic and the M4 and M5 Motorways. This road is also known as Homebush Bay Drive (northern approach) and Roberts Road (southern approach). The construction of Centennary Drive included an overpass over Liverpool Road at Chullora. An overpass road has also been constructed over Parramatta Road and Underwood Road Homebush. The building of Centennary Drive changed the alignment of local roads such as Pemberton Road, which formerly ran to Liverpool Road but now terminates at Ada Avenue Strathfield. The development of Sydney Markets in the early 1970s altered many local roads in Homebush. Streets such as Potts Street and Hammersmith Road now exist primarily as entries to the Markets rather than full roads. Houses located on Malborough Road were acquired and demolished for the expansion of the Markets. Frm the 1890s, a line of ombibuses operated from Burwood to Druitt Town (later Strathfield South). My old family home was in Wentworth Road (number 34) and sadly I witnessed the transition when houses and a church were demolished when the M4 was built. John Pomeroy’s Mansion was named ‘Laira’ yet commonly called Pomeroy House. A tragedy that it was demolished. A brick Church was next door where the original Park Road intersected with the original Wentworth Road. Diagonally over the road from Pomeroy House (where the park/reserve is now) was Harry Bacon’s corner butcher shop. I remember the tiles on the outside of the shop had a random pattern in them of sheep and cattle. Also opposite my old family home, Dulcie had to see her house demolished. Back then she was a spritely one in her 70’s who had toured as a showgirl with Bob Hope entertaining the troops in war zones during WW2. Particularly sad was to see Pomeroy House being demolished. Such a grand mansion with a splash of a red phone box out the front and draped in lawns and trees. It could have been saved if a retaining wall had been constructed as it didn’t intefer with the actual M4 roadway. Yet sadly the cost of a retaining wall to save the old grand mansion was perhaps prohibitive at the time. I grew up in Pomeroy Street when we moved there in 1965 and I started school. I vividly recall the ‘Laira’ and the church next door, many a church fete was enjoyed in the small grounds. I also remember the butcher shop opposite and the glorious federation houses next door and just along from the shop. They were designed truly for the Australian climate with wonderful very wide verandahs. I often saw horses grazing in the huge side yards of these houses. I was heartbroken when these houses were demolished, even moreso than for ‘Laira’.